The JEP has recently started its second phase of work on the USS valuation. The second phase has two parts, the first of which is concerned with the valuation process and governance. The second part of the Panel's work which, will start later in the year, will consider how the long-term sustainability of the Scheme can be secured through the development of a shared set of principles and will revisit the valuation of technical provisions and other aspects of the valuation methodology, including Test 1. We would ask stakeholders to hold back any comments on this wider matter until later in the year. the roles and involvement of UCU and UUK in the valuation process so that a more collaborative approach could be adopted. an examination of the interaction of the various bodies with a formal role in the valuation process, including the trustee and the JNC. the potential for the involvement of Scheme members in the valuation process and how more effective engagement with employers can be achieved. the governance of the valuation process and in particular the role of different parties including UUK, UCU, the JNC, the trustees and others in providing that governance. 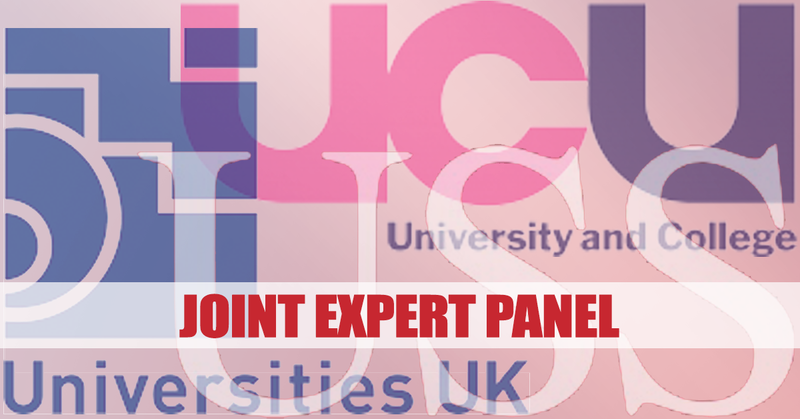 Submissions on the above matters or comments for the attention of the Panel are warmly welcomed and should be sent by 15th March 2019 to submit@ussjep.org.uk. The Panel will issue a further call for evidence in respect of part two of its enquiry in due course.